You have made the decision to bowl in a tournament and now you need some good ideas for bowling tournament preparation. When you bowl in leagues at your local alley, it’s only a matter of time before someone starts mentioning tournaments.You hear the great stories people have to tell and you are chomping at the bit to try it. Or, better yet, you were asked to bowl with someone. You agree and now you wonder “What would be considered good bowling tournament preparation”. Each year the United States Bowling Congress – USBC sponsers the USBC National Bowling Tournament. This provides various bowling tournaments for all ages and skill levels. They have youth, men and women and senior tournaments. The senior tournaments include 6 age groups to allow you to bowl with people of your same age. Be aware that these tournaments are open to everyone.The USBC Open Bowling Championship is the ultimate tournament. If you are skilled enough to be in the Regular Division and carry a 210 average or higher, you may bowl against Pro players as well as league players. I would be thrilled to have the opportunity to do that! Imagine bowling with Pete Weber or Jason Belmonte! Regular Division for 210 averages and above. Standard Division for 181 averages thru 209. Classified Division for 180 averages and below. *Before 2017 there were only two divisions 181 and above, and 180 and below. This year the USBC National Bowling Tournament-Las Vegas runs from February 18th, 2017 to July 16th, 2017. Registration for it closed on March 31, 2017. It is regularly held in Las Vegas, Nevada on alternate years . In 2018 it moves to Syracuse, New York. Then, in 2019-21 inclusive, returns to Las Vegas. When you think about preparing mentally, your mindset should stay the same in bowling tournament preparation. Do the same thing you always should do when you want to score well in leagues. You focus on each shot, take it one throw at a time.Don’t start thinking about a 300 game just because you string a few strikes. Don’t over react on bad shots and keep your cool on good shots. Keep your pace slowed down. When the Adrenalin is pumping, steps can become quicker and faster. Slow things down, keep yourself in control. Ignore what other players are doing, focus on you and your performance. Practice different target areas and boards.Try to get a feel for bowling on the lanes from different angles. The ball reaction will be different, and it will not be the same as what you are currently practicing on. Know what you are going to do to adjust for the changing lane conditions. There is a pretty good chance the oil pattern will be heavier than what you are accustomed to on your house shot. In fact, the Open Championship is the one USBC Bowling Tournament that is considered to have the most challenging shot, period. Pactice different adjustments,move around as you practice on you home alley. Try different shot angles you may need to use at the tournament.Try different lines other than your normal area. That is a strategy that just may pay big dividends and give you more confidence on the tournament pattern, just when you need it most. Most tournaments will post what pattern you will be bowling on so you should have some idea between heavy oil or dry and short or long oil. Local tournaments are notorious for dry conditions, but if it is USBC Open Championships, you can bet it will most likely be heavier oil and be a very challenging shot as well. Only a total fool would wait till the last minute, then grab their bowling bags and head out to the Open Championship tournament. The competition is open to everyone and some players could be very serious about their game. Don’t allow for an unexpected surprise that could cause you some disappointment and ruin your experience. You want to have fun and reduce the chances of equipment failure. 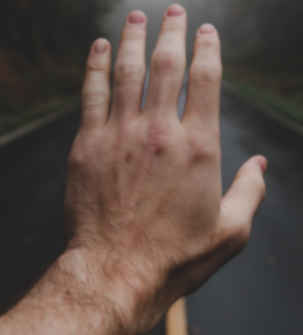 If a finger insert needs replaced, get it addressed before it fails at the worst possible time.Get that extra bevel around your thumb hole or repair any damage around the finger holes. A deep clean that you do at home or at the pro shop is a very good idea for this level of competition. This is the time to get inside your bowling bag and take a good look! Whether it is your first time in tournament competition, or your tenth or more. Don’t leave anything to chance and make sure everything is in tip top shape. Trust me, take the time beforehand and save yourself embarrassment later! Check your towels, and make sure they are clean. Replace them if necessary. Look at your bowlers thumb tape, and finger adjustment tape if you use it. This is the time to replace that almost empty rosin bag. If you use a wrist support, check it over because they do wear out, especially the rubber pads. Elbow supports and knee braces also need replaced every so often. If you are going to the USBC National Bowling Tournament, then you will be bowling among the best bowlers in the country. And because of that, you will be held to a higher standard. The USBC Open Championship requires you to display professional conduct at all times during the competition.You can be disqualified and will certainly be fined for poor behavior. In fact, you are not permitted to criticize, pick on anyone, or complain about equipment, so keep your cool! You would be allowed to voice a complaint to a tournament official if something happens of course, but they will not tolerate bad behavior, period. Act responsively, be professional and show others respect. Be aware that rules do NOT allow the use of certain products we normally use in league competition. For example: You are NOT allowed to put anything on the bottom of your shoes like TALCUM powder or EZ-SLIDE. I know many people who totally abuse that practice in league play. It will not be allowed at Nationals. The Open championships DO NOT ALLOW you to clean your ball with anything but a dry towel once play has begun. Even the cleaners approved for use during play will not be allowed.If you find some foreign substance on your ball, you will have to ask permission before you can use anything to remove it. Drinking alcohol, gambling or betting is not allowed, and they also have a dress code. However, they do have a variety of brackets you can enter to win prize money based on your performance. Look your shoes over and see if the soles or heels need cleaned on your slide foot. If you have inter-changeable soles for you bowling shoes, be sure to have ALL of them in your bag. Somehow, the perfect sole you need for just the right amount of slide, seems to be the one that gets left at home. Most of us normally only carry the ones we use on our home alley. You have to be ready for all types of oil conditions. Most people, including myself will start with our newest or most aggressive ball. Most tournaments have oily conditions, rather than dry. But, I have encountered very dry conditions once in awhile. It is not the norm but it happens. The 2017 USBC National Bowling Tournament did not post the oil pattern being used. This required you to bring a variety of balls to handle different surface conditions. If you are traveling a long distance, you may want to consider shipping your bowling balls on ahead of you. Chances are the 2017 pattern will be around 40 ft with a heavier volume of oil than you used to on your local lanes. Most alleys use 37 ft oil pattern with less volume for their house shots. This is referred to as the blocked shot. It allows for better scores and keeps the lower average league bowlers much happier. Happy bowlers are good for business. But, the more advanced bowlers might consider that shot too easy. Highly skilled players will join the more difficult sport shot leagues for more challenging conditions. 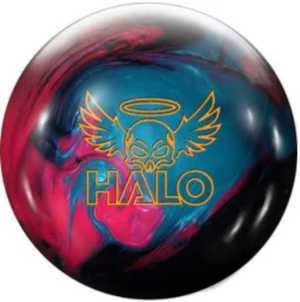 A ball that has a cover-stock finished with a less aggressive surface, may come in handy when the lanes break down. It will enable you to score when others maybe can’t because of the drier lane conditions. The aggressive ball is a nightmare sometimes when the oil is gone and you experience severe oil breakdown. If your ball needs a deep cleaning at the pro shop to remove excess oil, allow yourself plenty of time to get it done . Try to remember other bowlers will have the same idea as you, and you may have to wait in line. So, don’t wait till the day before the contest. Surface prep is a great thing to freshen up as well. It will return that nice reaction you had when the ball was new, and restore the roundness of the ball as well. Like the cleaning, get it into the pro shop in plenty of time. It is probably a great idea to take some abralon pads along with you. 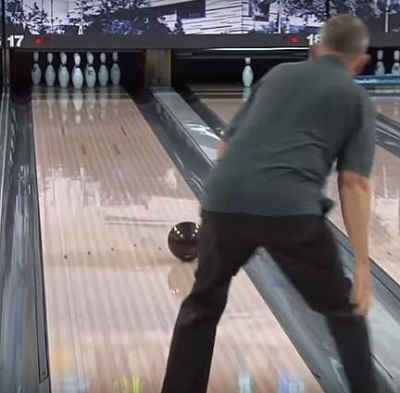 You can’t change the surface after you start bowling, but if you have several days of bowling, you can possibly help your scores for the following day, with some surface adjustment if necessary. The tournament cause some extra stress because it is a higher level of competition. You only have one chance to get it right, so take a few breaths and relax. The bowlers who can make it as normal a day as possible will be the ones that score the best. Here are some things I try to remember. Focus on you target and follow thru with your arm-swing as smoothly and naturally as you can. Be aware that you are not forcing your swing. Maintain you balance and don’t allow your shoulder to drop. Relaxed and level shoulders make a nice accurate shot. Keep your speed consistent and relaxed. Remember, the stress will cause some extra Adrenalin to be flowing, so chances are you will be speeding things up. Relax and slow down. Breathe, oxygen relaxes you! KISS -Keep it Simple Stupid- Look at you target, follow thru and watch the ball until is clears your mark. Don’t look up at the pins too soon. The butterflies were normal for me at tournaments, mostly because I didn’t go often enough. When you compete in tournaments more often, it is likely you will feel more at home and comfortable. It is intimidating when you see so many high quality bowlers. If you are bowling in a USBC Senior BowlingTournament, you will have the opportunity for bowling in your age bracket. This will allow you to be more competitive and likely help you score higher with bowlers of your own age group. Bowling against younger bowlers is harder for seniors to do. They can’t match the ball speed the younger bowlers are capable of throwing. Good luck and always remember to have fun!